Dani wrote a post calling yesterday “the day of the tailwind,” but you can’t fault her for that. We didn’t know what the wind was going to be like today. The alarm went off at 5:30a, and we were up and out rather quickly, thanks to Dani packing all the bags that could be packed last night. 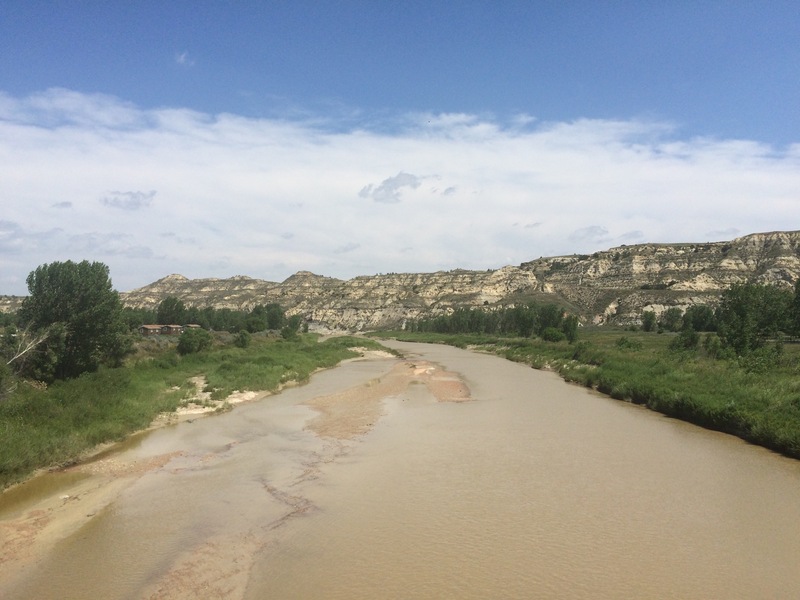 Glendive is at the bottom of the Yellowstone River Valley, and we started the day by climbing out. That in and of itself wasn’t a big deal; we’ve often started days with climbs. What made today special is that we were climbing on Interstate 94. There aren’t too many roads heading west out of Eastern Montana, so the ACA maps took us onto I-94 for the first 13 or so miles of the day. We actually ended up riding on I-94 for a significant portion of the day. 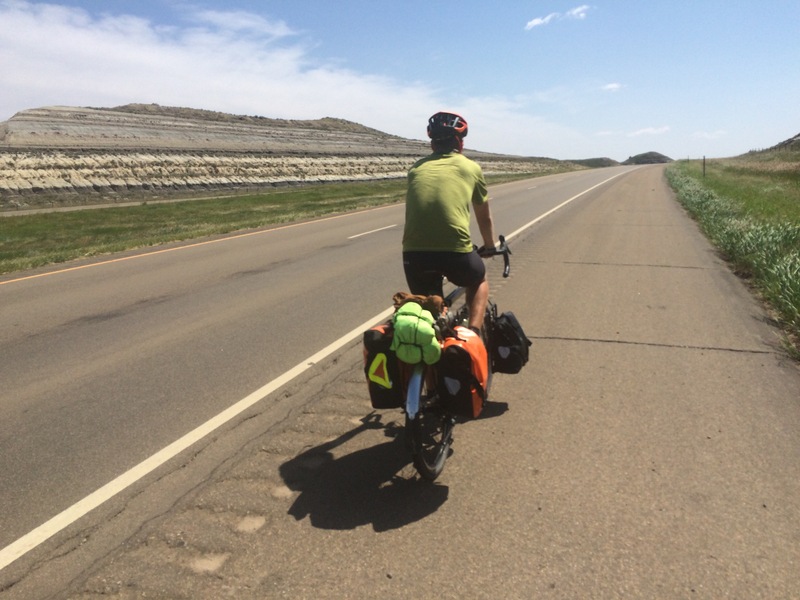 Riding our bikes on an interstate was not something we were looking forward to, but it wasn’t nearly as bad as we thought it would be. 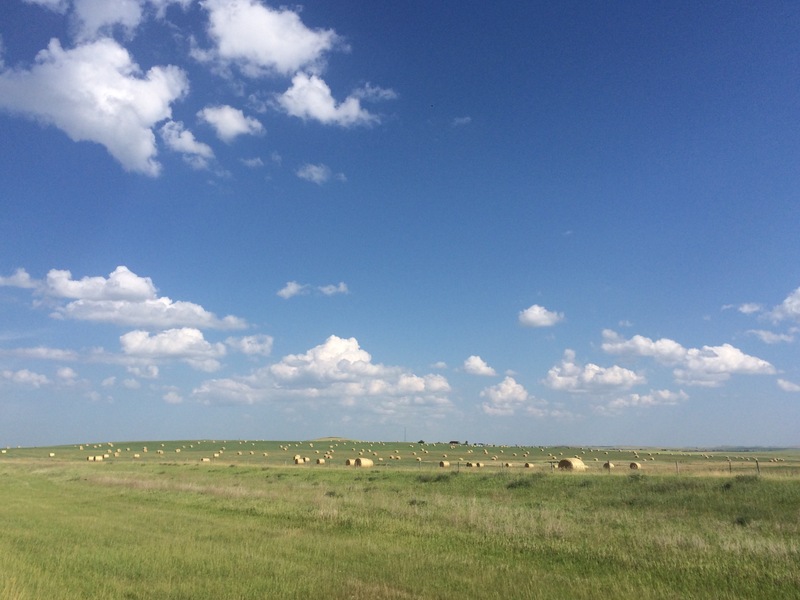 Pros of riding on the interstate: the hills are more gently graded, the shoulder is consistently huge, it’s usually the shortest distance between points a and b, and we always seem to ride faster when we’re on busier roads. Cons: traffic moves faster, taking breaks is not pleasant, it’s loud and stressful, and there is often sharp debris on the shoulder. After 13 or so miles, we exited to ride a frontage road for another dozen miles. We took advantage of being off there interstate to stretch and eat, but shortly into our ride on the frontage road we decided they pros of the interstate outweighed the cons. The wind was already starting to pick up at our backs, and we wanted to take full advantage. 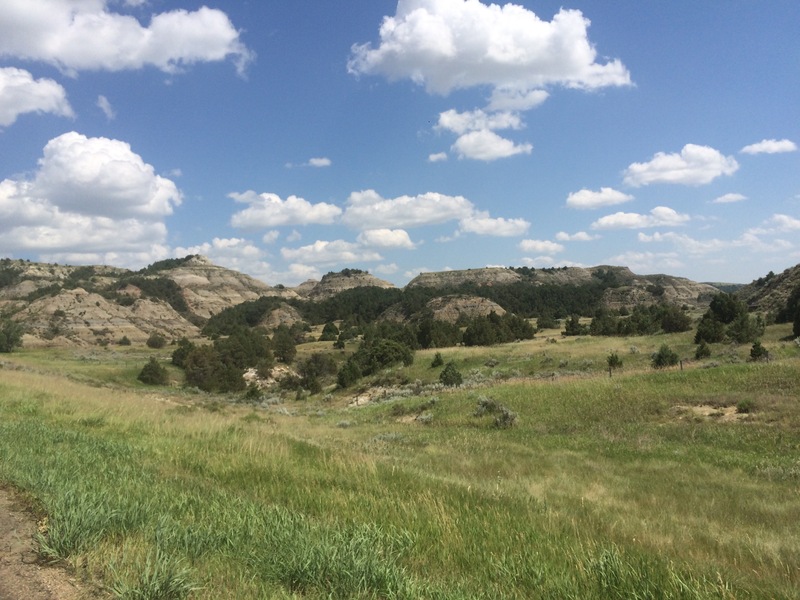 So we hopped back on I-94 at the earliest opportunity and we flew down the road to Medora. The wind was amazing. I don’t know much about gauging wind speeds, but I’m guessing it was guessing around 25 mph. We were riding 18-20mph uphill. When the wind gusted, we felt like it was carrying us over the hills. What a fun way to ride a bike. 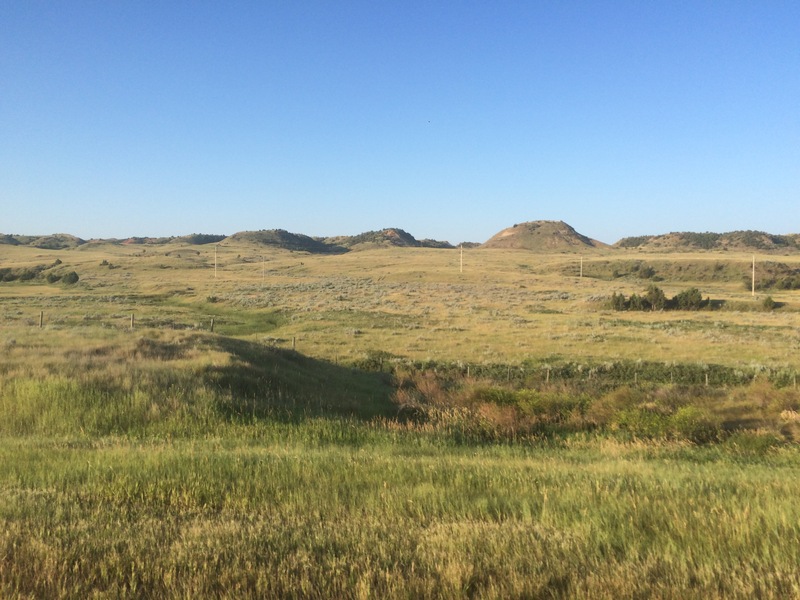 About 40 miles into the day, we finally left Montana and entered North Dakota. This goes into the obvious observation files, but Montana is a huge state. 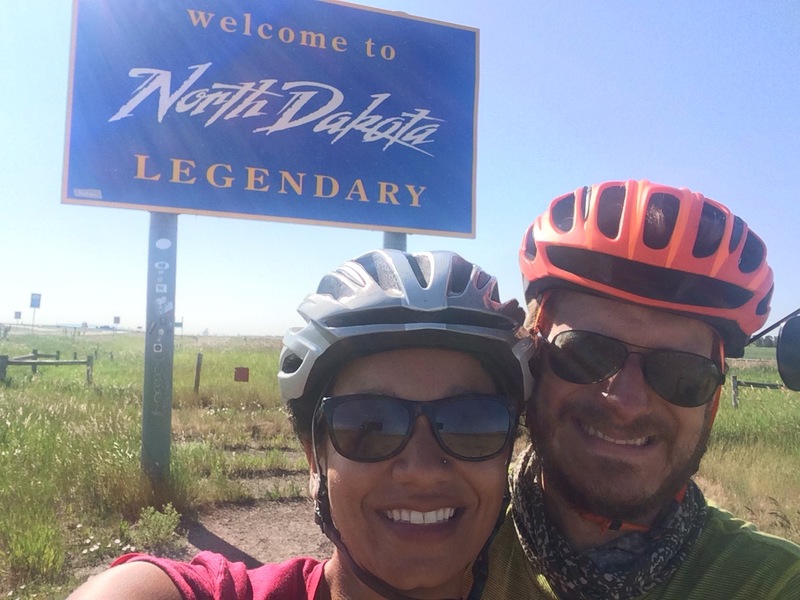 We spent the better part of 18 days in Montana (including our time stranded in Glacier), and we rode approximately 870 miles in the state. That’s over a fifth of our total trip in one state. A state with maybe a third of the population of Brooklyn. 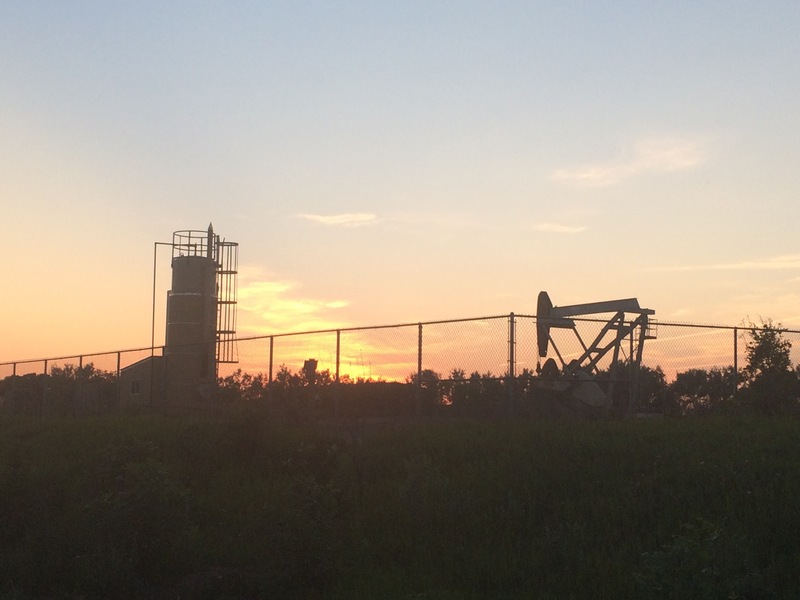 Anyways, I might not have had the greatest expectations for scenery in North Dakota, but the country in the western part of the state blew us away. 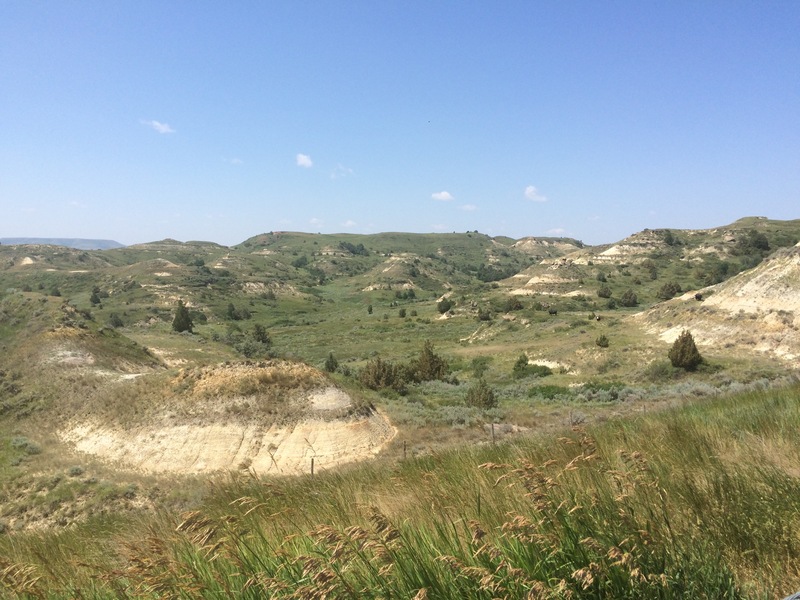 We spent most of our day riding through the badlands, and they were unlike anything I’ve ever seen before. 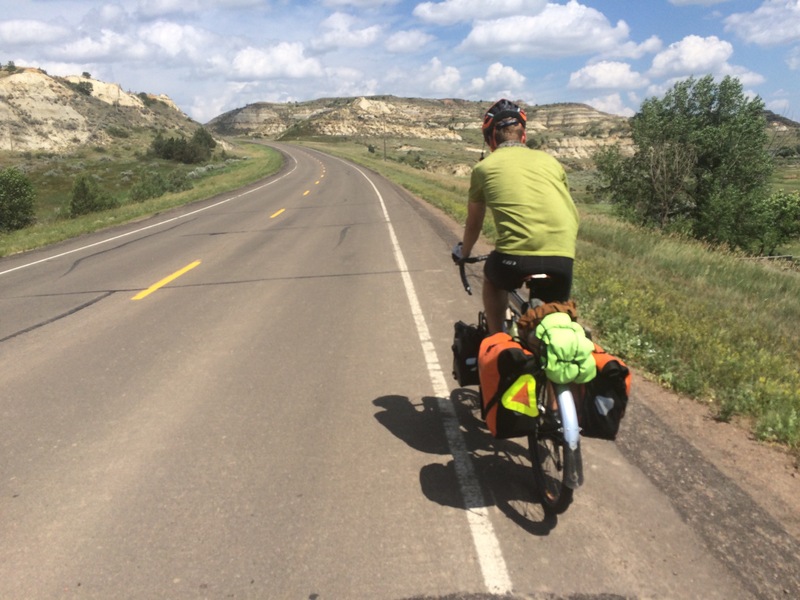 We were cruising along, making excellent time to Medora, when I heard Dani’s tire pop from a good 20 yards behind her. She had ridden over something nasty that sliced right through the sidewall of her tire. For those of you who don’t know, a gash to the sidewall is a death sentence for the structural integrity of a tire. Luckily we a) had a tire boot to use as an emergency fix (my bike tool kit is really getting some use! 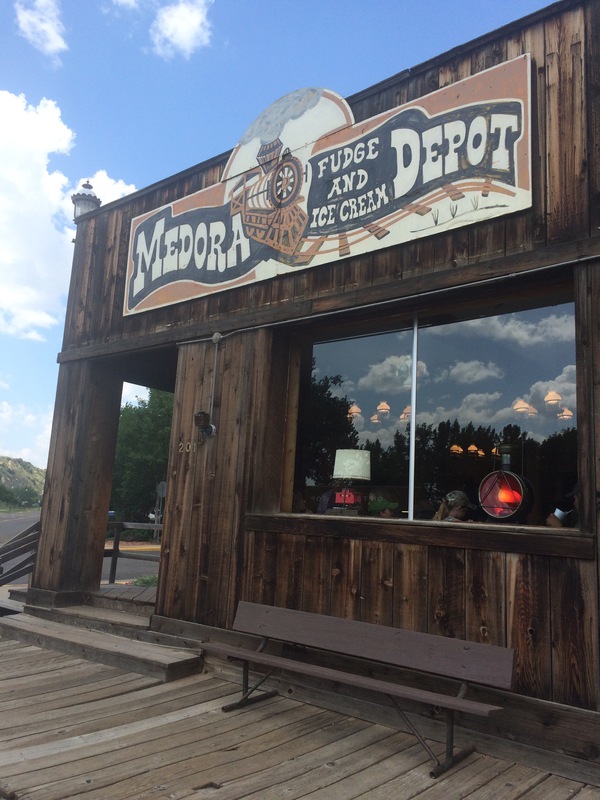 ), and b) were close to Medora, which has a great bike shop. While we were changing the tube, a man named Chuck stopped to offer us help! He owns a bookshop in Seattle and is also riding across the country with his wife driving a support car. 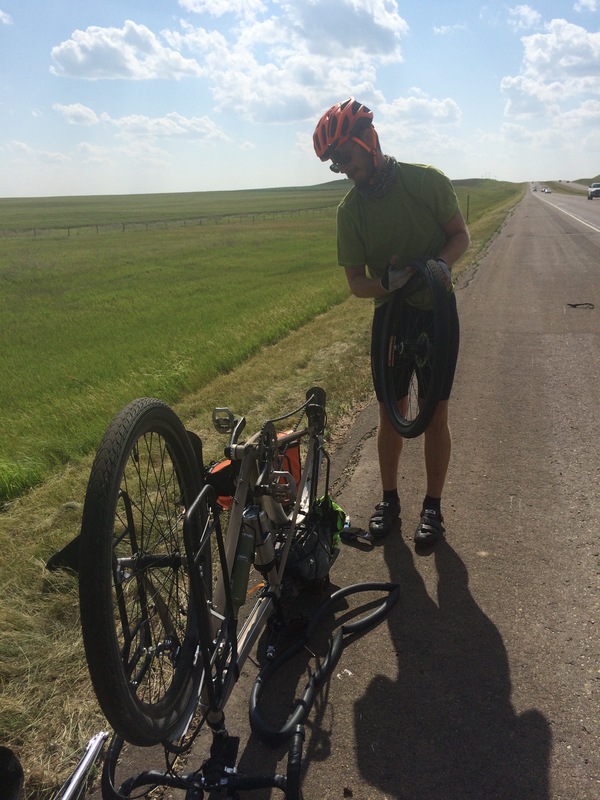 He was in the support car because his tire blew out in Vida and he had to go all the way to Medora to get a tire. He’s not going to cheat, though. His wife will drive him back to Vida to cover that section again. A few miles after Dani’s flat (and about 60 miles into the day) we exited I-94 and headed toward Medora, the launching-off point for Theodore Roosevelt National Park. There was a bike path that took us into town alongside a small stream. Oh man, so beautiful. It hurts my heart that we weren’t able to spend any real time in the park. We really wanted to take some time to explore, but our Glacier fiasco set us back and we just didn’t have time. 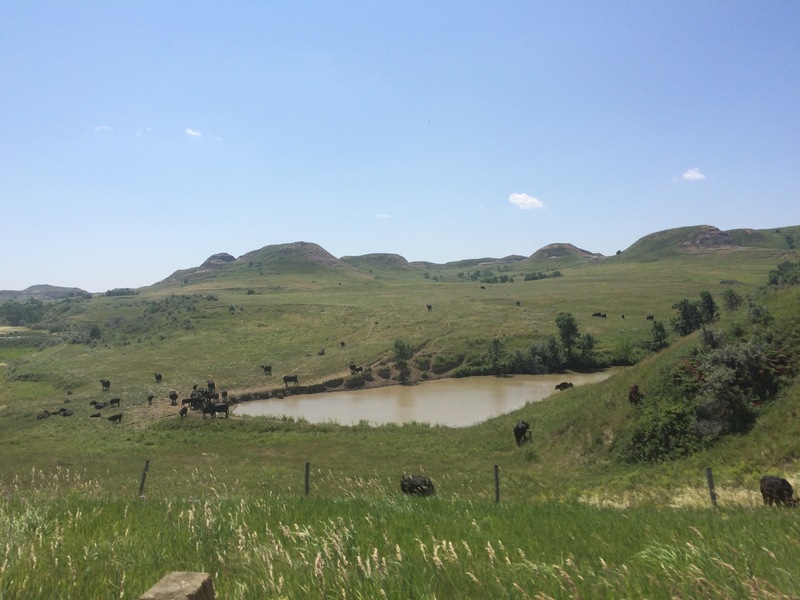 Medora is another faux-western tourist town, but I have a confession to make: we love tourist towns. We love all of the cute little shops and cafes, the ice cream, the assurance that there will be good food, and how clean and maintained everything looks. We know it isn’t “real,” but we love it anyway. Our first stop in town was Dakota Cyclery, and I can’t recommend the shop enough. 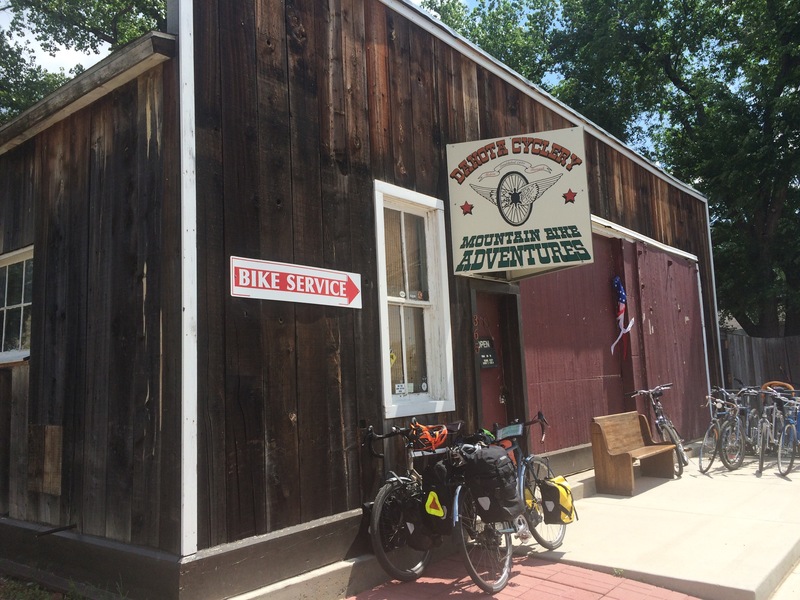 They were well stocked with high quality touring tires, and they were exceptionally friendly and helpful, completely lacking the snobbishness that is often a part of the bike shop experience. We decided to eat lunch before we bought the tire and hopped over to Boots Bar and Grill, where Dani had a fried fish basket and I had a steak sandwich that was delicious, but small. Then we headed back to the bike store, bought a new tire, and changed the tire while we ate ice cream. Then we headed out of town, trying to rack up some more miles with this lovely tailwind. Immediately after exiting town proper, we began to climb. It wasn’t too long of a hill, but it was steep. Holy moly. Maybe the steepest grade of the trip so far. But the wind was helping us, and we made it up the hill and back onto I-94. The ACA maps have you taking old highway 10 for this section of the day, but we heard that there was a lot of oil truck traffic on that part of 10, and we wanted to get as many miles in as possible, so we elected to stay on the interstate. 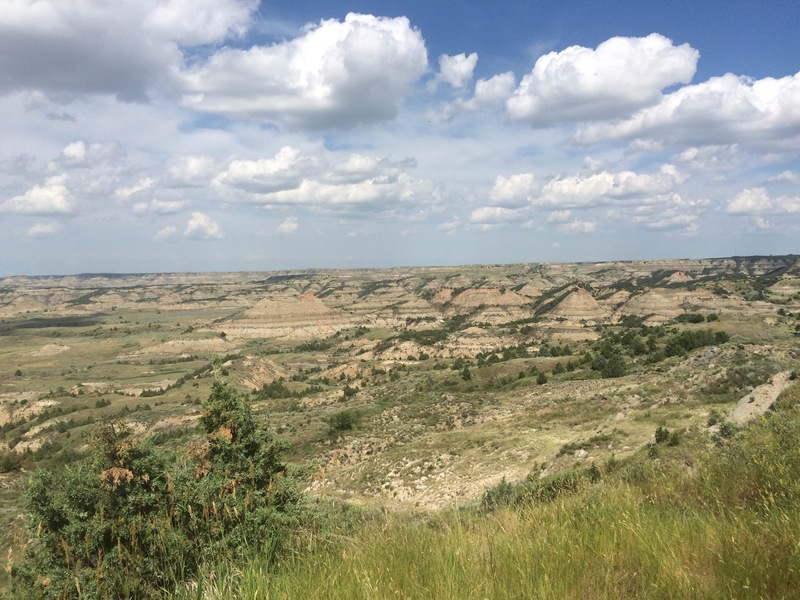 A few miles after Medora, we pulled off at the Painted Canyon overlook. Yep. It was stunning. Back on the road, we were trying to make it to Richardton, where there is an Abbey that extends its hospitality to touring cyclists. But I-94 had other plans for us, and shortly after we were congratulating ourselves for having the good fortune to lose a tire right before an excellent bike shop, my tire blew. I don’t know what I hit, but the tire went from full to flat in barely a second. Luckily, the tire itself remained intact, and all I had to do was switch out the tube. Pedaling again, we were starting to tire out despite the tailwind. Riding 100+ miles wears you out, even with a favorable wind! 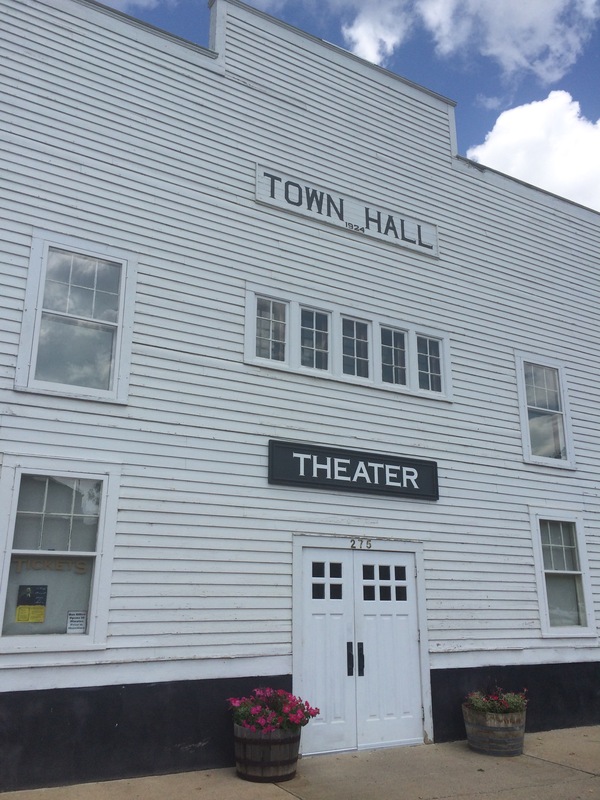 We rolled into Dickinson after 102 miles close to 5:00p. We’ve found a few blogs of people who are doing the same trip as us, but are a few days ahead. These are great sources for tips on riding conditions, etc., but today we found perhaps the best tip ever: there’s a Qdoba in Dickinson. Yay for giant burrito bowls and unlimited seltzer water! It was the perfect dinner to end the day. Except the day wasn’t supposed to end yet. We were supposed to ride another 25 miles to free camping at the Abbey. But we were exhausted, so we decided to call it a day. We ended up staying at an RV park in town. It was $25, but it had a nice shower, WiFi, shady trees, and it was quiet. It’s the most we’ve paid for camping so far, but the showers made it a better deal than the Montana Bike Hostel, in case you were wondering. 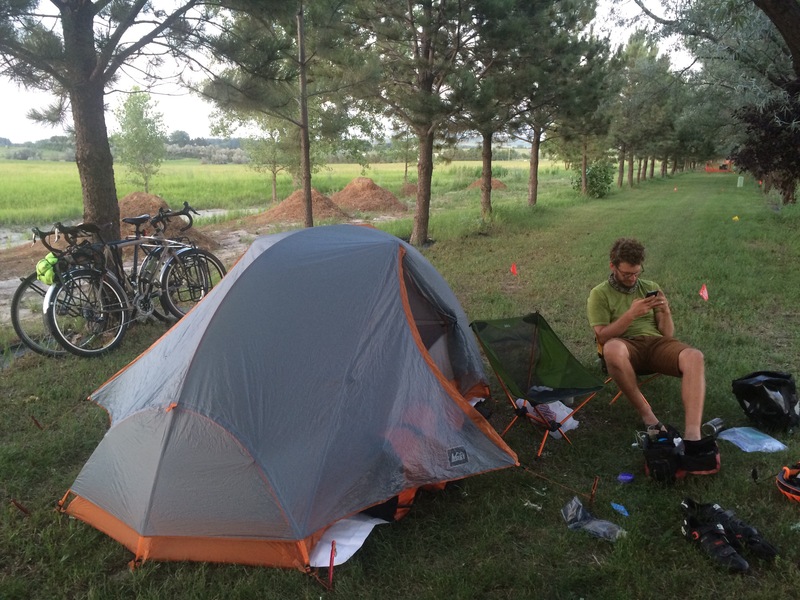 We’re going to try to make it into Bismarck tomorrow, which would be another century ride!